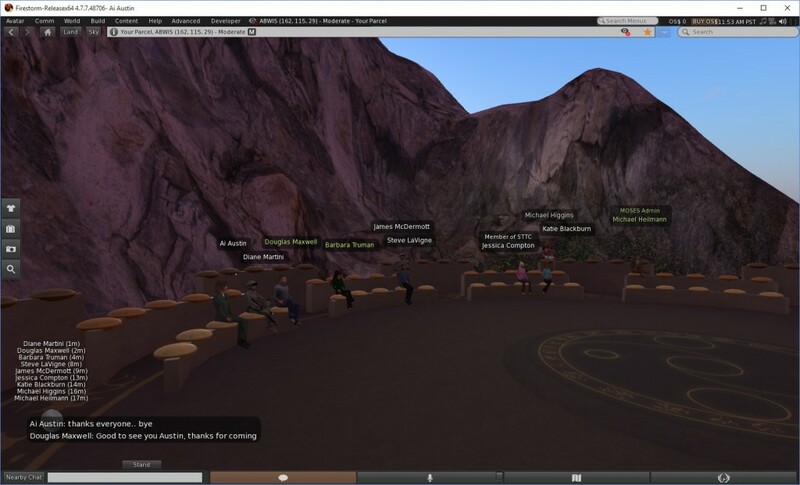 The MOSES military metaverse grid members hold regular weekly “office hours” presentations and discussion meetings. Suggestions were made for version control and version/change dating of scripts. There was also a discussion of how to produce “360” videos and images from within a virtual world, including the idea of separate scripted 360 style camera… which may implemented via a separate “client” using LibOMV, or could simply be in world and stream or send out its data to later combine into a 360 degree video. Another possibility might be to look at Nvidia’s “Ansel” API for in game screenshot freezing and production to various formats including 360 video. This entry was posted in OpenSim, Virtual World and tagged MOSES, OpenSim, Virtual World. Bookmark the permalink.